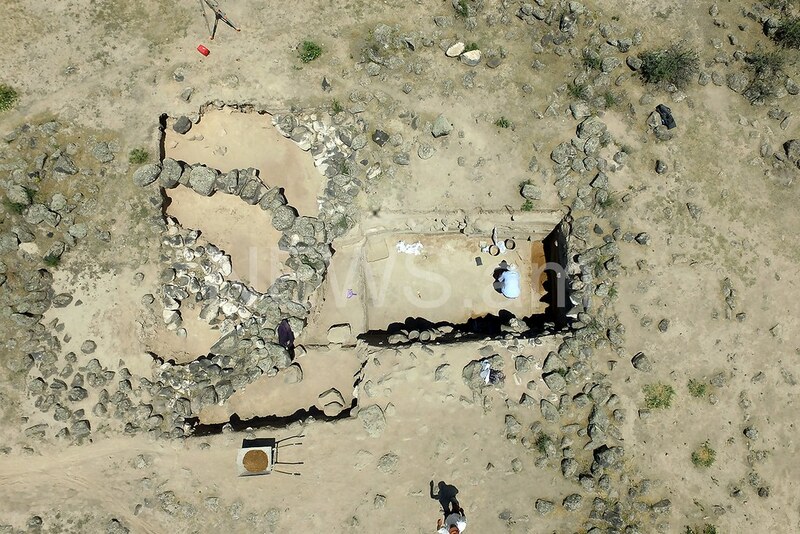 We would not even notice from the road the archaeological monument Arteni 1 located in semi-arid slope of Armenia’s Mount Aragats between Talin town and Arteni village but for the blue tent under which the archaeologists sometimes hide from the scorching sun. For an ignorant eye this is merely a landscape painting: it is hard to imagine that it is man-made. To show it to us, the leader of Armenian-French expedition, fellow of Archaeology and Ethnography Institute of the National Academy of Sciences of Armenia, Irena Kalantaryan takes us to a small hill from where one can look at the monument from above. We are treated to a view of round form on a small plain. This view is made of bushes but Irena Kalanyaryan explains that since this is a windy place, the bushes scramble to stones, the latter being nothing but blockwork. In her words, unique archaeological monuments, which are known as Desert Kite in archaeology, have been registered in this region. These are unique facilities with two long walls (antennas), which have the form of a flow cup and close up in the form of starlike triangular, rectangular and round facility (crown) resembling a corral. Small bartizans are located on each row of crown. The height of the walls is between 1 to 1.5 metres, their length reaching hundred meters. Desert Kites were first found out in Jordan in mid-20th centuries. Then they were found out in Syria and Sinai. Their significance has not yet been finally ascertained but they most likely served as hunting traps. It is supposed that the hunters impounded their prey into a gradually narrowing passage between the walls, and when the animals appeared in a startlike or triangular trap, they were slaughtered by the hunters guarding in towers. It is also supposed that the most ancient Desert Kites appeared in Pre-Pottery Neolithic (10-7th millennia) and existed until the early Middle Ages. In 2009, geologist A. Karakhanyan found such Desert Kites in Armenia as well. Since 2011, the systematic research of these monuments was launched within the framework of an Armenian-French project. 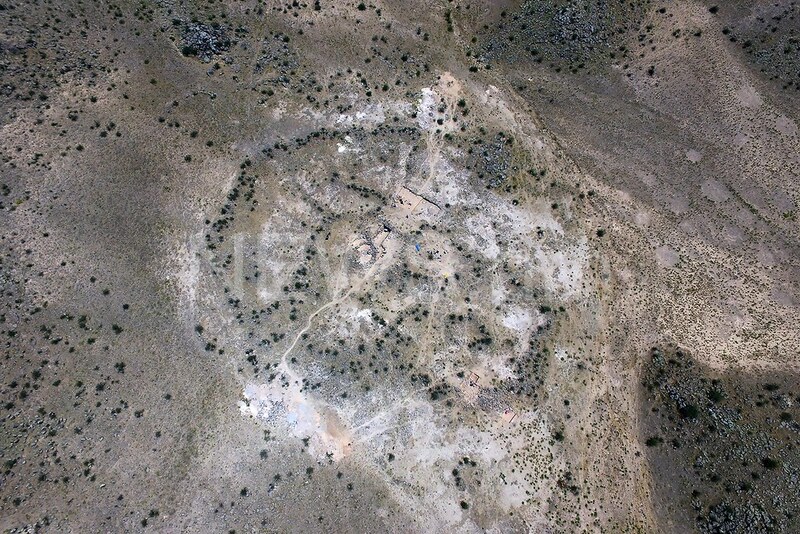 As a rule, settlements known in the archaeological literature as jellyfish, wheelhouses or agglomerated houses are located not far from Desert kites. They were called jellyfish or wheelhouse, since they resemble jellyfish or wheelhouse from above. Arteni 1 is one of the many settlements of that type found by the Armenian-French expedition. The settlement is surrounded by a wall, which most probably had a defensive function. It is also divided into units by walls. The archaeologists are trying to understand the functional significance of such a division and, most importantly, determine the age of the monument. 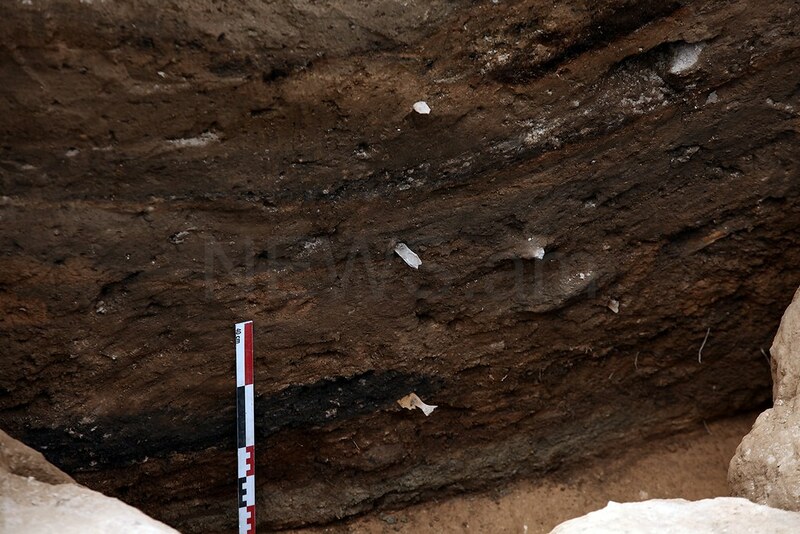 The radiocarbon test taken from the upper layers showed that they can be dated to the early Iron Age. This place was most likely again settled after the fall of the wheelhouse. The samples taken from the already destroyed ‘wheels’ showed an earlier period—late Bronze Age. But the research showed that there are also cultural layers below, their tests coming as a surprise to the archaeologists: they date back to the Middle Bronze Age. ”This is very important for Armenia and the entire Caucasian region, since no settlements of mid-Bronze Age had been recorded in the region. 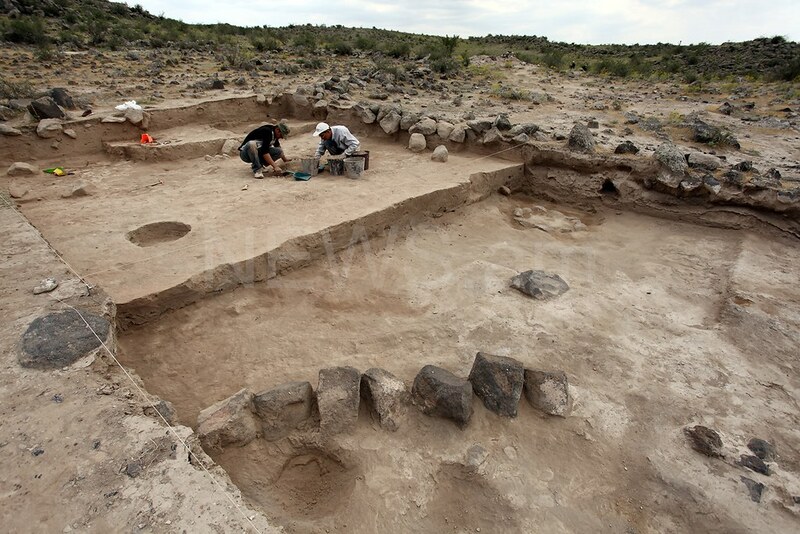 The entire culture of that period is known to us from graves,” she says, adding that during the excavations they haven’t yet reached the ‘mother earth,’ so findings of earlier period may stiil be unearthed. Already below the archaeologist shows us the dug-up trenches and the findings unearthed there: a semi-circle wall, pits, where there were remnants of carbonized manure, a round hearth made of stone, as well as a large well, whose significance has not yet been ascertained. 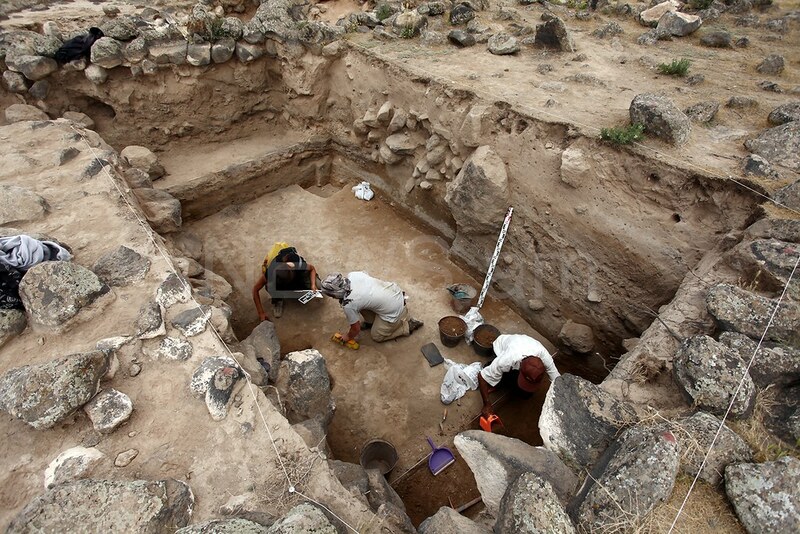 Large numbers of bones and ceramic pieces, which may be referred to Trekhk-Vaandzor culture, are being unearthed. All this is neatly put in packages and enumerated in order to be sent to the institute for further studies. According to the archaeologists, the round wall surrounding the settlement should have an exit but the excavations have not yet yielded results with this respect. French archaeologists work together with the Armenian ones here. 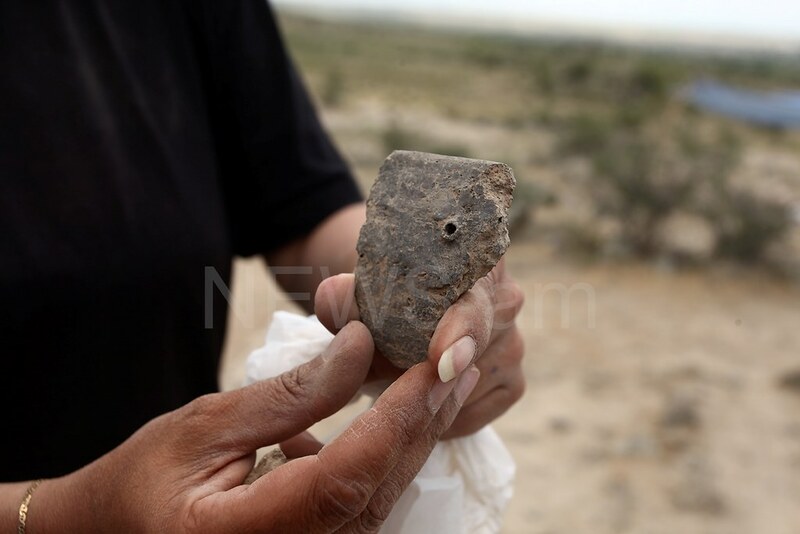 Head of Mission Caucase program Berengere Perello says that within the framework of the mission, which is funded by the French Ministry of Foreign Affairs, they are studying the protohistory and prehistory of the entire Caucasian region.